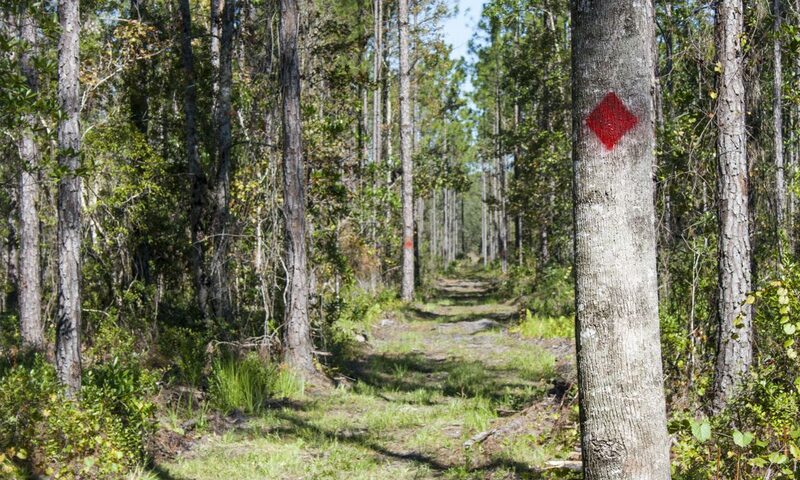 The 515-acre Gourd Island Conservation Area features wetland and upland natural communities, including floodplain swamp, basin swamp, dome swamp, depression marsh, wet flatwoods, mesic flatwoods, sandhill and xeric hammock. 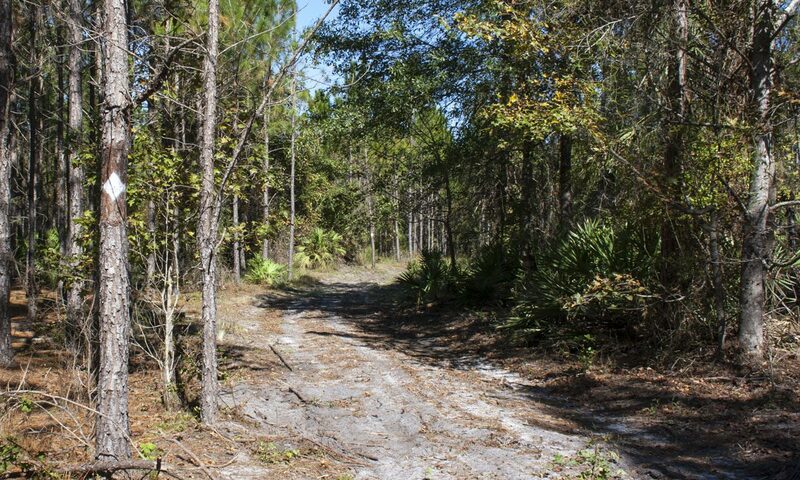 The Florida Department of Transportation acquired the property in December 2010 and subsequently donated it to the St. Johns River Water Management District as mitigation for wetland impacts elsewhere. The donation of the property provides significant water resource protection for Durbin and Sampson creeks, which border the property to the north. 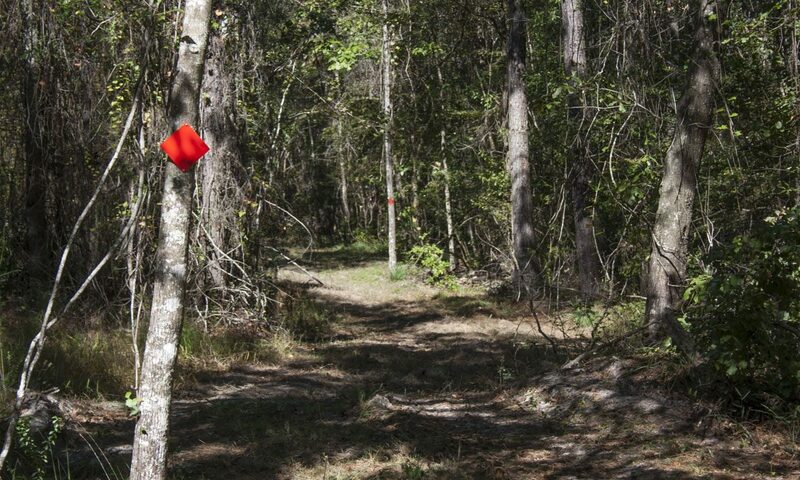 The property included a JEA (formerly Jacksonville Electric Authority) easement for the installation of a utility pipeline and perpetual maintenance of that pipeline. Completed in 2011, the pipeline is primarily located beneath the main access road, which extends into the conservation area from the parking area and trailhead. Please respect Florida’s wildlife and use caution while visiting district lands. These are wild animals. For your safety, do not approach or feed any wild animal. Wildlife that may be seen in the area includes gopher tortoise, deer, otter, multiple bird species and the American alligator. Activities include hiking, bicycling and wildlife viewing. From I-95, take exit 329 for County Road 210. Turn east (left) onto CR 210 West. Take the first right onto Russell Sampson Road. At the traffic circle, take the second exit, staying left on Russell Sampson Road. The property entrance is on the right. The property is at 10182 Russell Sampson Road.